Cherry wood is a reliable and beautiful type of wood. It ages in a perfect way and looks gorgeous as furniture, boats, flooring, and much more! Texture: The texture of sweet cherry wood is fine to medium with a close grain. The grain is usually slightly wavy or completely straight. The end grain of the wood is semi-ring porous and the small pores have no precise arrangement. It has a 2-3 radial as well as solitary multiple, and has distinct growth rings since the early wood pore concentration is high. Sustainability: It is sustainable since it is not listed on the IUCN Red List of Threatened Species or CITES Appendices. Despite this, it isn’t available everywhere to produce. Sweet cherry wood has a high price since it is only available in Europe and a few other specialized orchards. It is also sold only as a veneer or in small sizes, which means that it is an expensive material to obtain. In the region where it grows naturally, the prices are moderate. Durability: The heartwood of sweet cherry wood is moderately durable to non-durable when it comes to decay resistance. It is adversely impacted when it comes to insect attacks as well. This is why black cherry wood is more popular amongst furniture manufacturers. Workability: Manufacturers do use sweet cherry in their work often though. It is easy to work with hand tools and machines, which is why so many use it. However, difficulties often arise when manufacturers attempt to stain the wood. It can produce blotchy results when stained since it has a closed, fine grain. Before staining, it is recommended to use gel stains and sanding sealers. Many manufacturers also use finishes, glues, and turns while staining the wood to prevent it from blotchy. Odor: Unlike black cherry wood, it has no odor even while the wood is being worked. Black cherry wood can also cause health concerns like respiratory problems but sweet cherry has no such negative effect. Sweet cherry wood is an Old World counterpart for black cherry, which is commonly found in North America. In contrast to black cherry, sweet cherry has more color contrasts. It is stronger and denser as well when compared to the other wood type. It doesn’t produce larger sizes for lumber though since the tree doesn’t grow to a large size. Brazilian Cherry wood is also called Jatoba in many regions. Its scientific name is Hymenaea Courbaril and while it is named after cherry wood, it is typically of little relation to domestic Cherry found in the US. The only similarity with black cherry is that its natural color resembles the strained color of domestic cherry. Brazillian cherry is found in the West Indies, northern South America, Central America, and southern Mexico. The tree grows to a large size of 100-130 ft and can have a trunk diameter of 2-4 ft. It has a high hardness of 2,690 lbf, which means that it is exceptionally hard, strong, and stiff. This is why it is used more as low-cost lumber where high-strength materials are needed by workers. Color: The heartwood ranges from a dark reddish brown to a light orange-brown. It may even have contrasting dark gray-brown streaks, which look really unique. Unlike many kinds of wood like black cherry and mahogany, the color of Brazilian cherry only darkens with exposure to light. The sapwood has a light grayish-yellow color. Texture: The grain of Brazilian cherry wood has a medium to coarse texture and is usually interlocked. It has very few, large pores. The wood occasionally exhibits signs of mineral deposits which gives it a unique look. Workability: Jotoba is a really difficult wood to work with since it has a really hard Janka Hardness. It can cause tool cutters to become blunt and you cannot plan it without significant tear out. It can steam-bend, glue, stain, finish, and turn well. Pricing: It is usually available in many different widths and sizes for lumber use. People also use it for flooring since it has a very rich color. 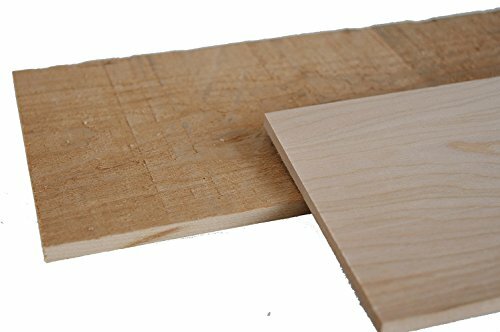 Unfinished Brazilian cherry planks for flooring of 5″ x 1/2″ can cost around $4.75 to $5.00 psf; this not expensive considering the relative price for imported timber. It is commonly used for tool handles, shipbuilding, railroad ties, flooring, furniture, small specialty items, and turned objects. 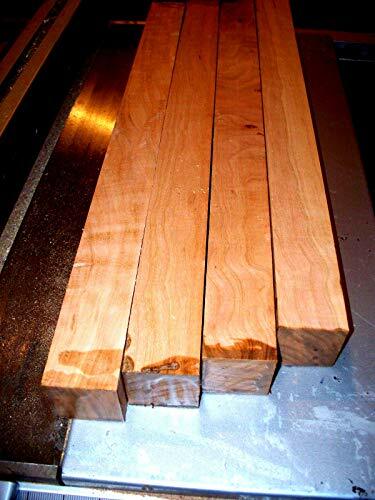 Patagonian Cherry is more commonly known as Tiete Rosewood since it is actually from the rose family. The scientific name for the tree is Guibourtia hymenaeifolia and is commonly found in South America. The tree can grow to be quite large, ranging from 130-165 ft with a trunk diameter of 3-6 ft. It has a high Janka Hardness of 2,790 lbf, which makes it hard to work with. Color: Patagonian Cherry is generally pinkish brown to a lighter orange. It tends to redden and darken with age. It usually has a straight and bland patterning in terms of grain. The wood has a very uniform appearance and color, which is why most workers restrict its use to interior flooring, turned objects, and other small specialty wood items. Workability: The wood is actually really dense and hard to work with. Many manufacturers prefer to work with lighter woods since they don’t strain the machines and tools as much. It also has silca content which can dull cutter prematurely. However, its saving grace is the uniform and straight grain that increases workability. It has a mild scent which it is being worked on. Pricing: It is most commonly used for flooring, which is sold under the trade name of Patagonian Cherry. Tiete Rosewood is also commonly sold for lumber and is relatively inexpensive considering it is an imported hardwood. It costs about $5.00 sq/ft if you want to install it for flooring. Caribbean Cherry is usually found in Guatemala, Belize, and Mexico. Its lumber name is Black Cabbage Bark or Machiche. It is an open-pored dense reddish hardwood that is really hard to work with. This is because it has a really high Janka Hardness of 3,100 lbf. Such a high rating means that it cannot be used practically except as flooring options. 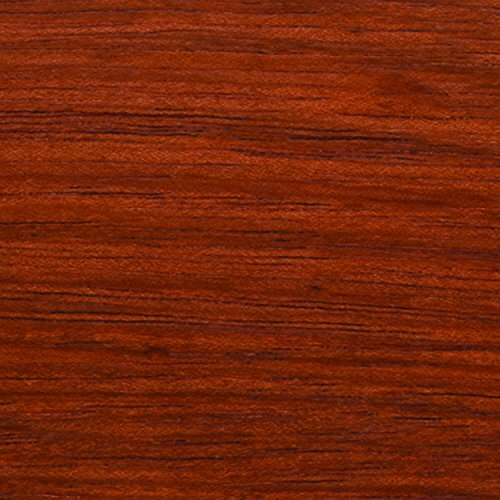 Color: Caribbean cherry wood comes in a wide range of color depending on the climate and soil the tree was grown in. It varies from yellow and tan colors to brown reds to darker deep reds. It can go through a medium degree change in color with age and exposure to light. Workability: The wood from the Caribbean cherry tree is really hard to work with. It can cause strain on the machines and dull the cutters. Price/Availability: Caribbean cherry isn’t commonly sold due to its high Janka Hardness rating. It is a really hard wood to work with which is why many workers and manufacturers actively avoid it. The Nothofagus dombeyi is more commonly known as the Chilean Cherry. It is part of the Beech tree family even though it is colloquially known as Chilean Cherry. It has a similar appearance to the North American Cherry, which is why many people mistake it as part of the Cherry family. The common lumber name for it is Coigue and it is native to the region of Chile and Argentina. Harvesting for the lumber of the Chilean Cherry is actually limited since the population of the trees is dropping around the world. Color: It has very fine, lustrous grains. It has a low, muted range of colors from light tan to pale pinks. Some lower grades of the wood also have grayish or cream-colored streaks. With age, Chilean cherry begins to darken with color. The medium degree of color changes turns the pale pink into a medium pinkish-red color which goes towards clear amber as time passes. Workability: It has a Janka Hardness of 990 lbf which is actually a really great amount. This means that it is relatively soft and doesn’t cause stress on the machines. It can be modeled into different shapes and stains relatively easily. Price: It is restricted to rare residential use only since most exports are prohibited due to the limited tree population. This is why it is really hard to find in markets and is one of the more expensive woods.